Today I’m sharing an easy chicken salad recipe with grapes and walnuts that anyone can make and everyone will love. 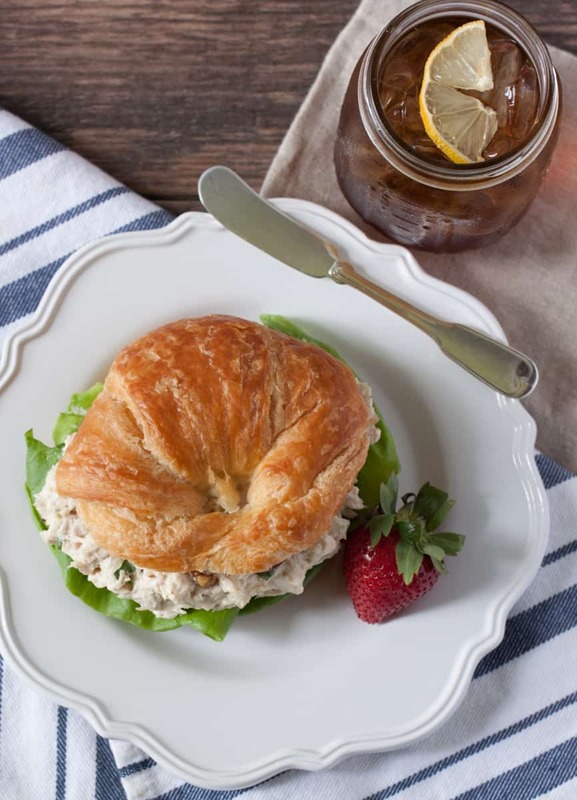 I’m not usually a fan of anything with the term “salad” that also includes a mayonnaise in the recipe, but every once and a while, a good old sandwich of chicken salad on a croissant reallllly hits the spot. 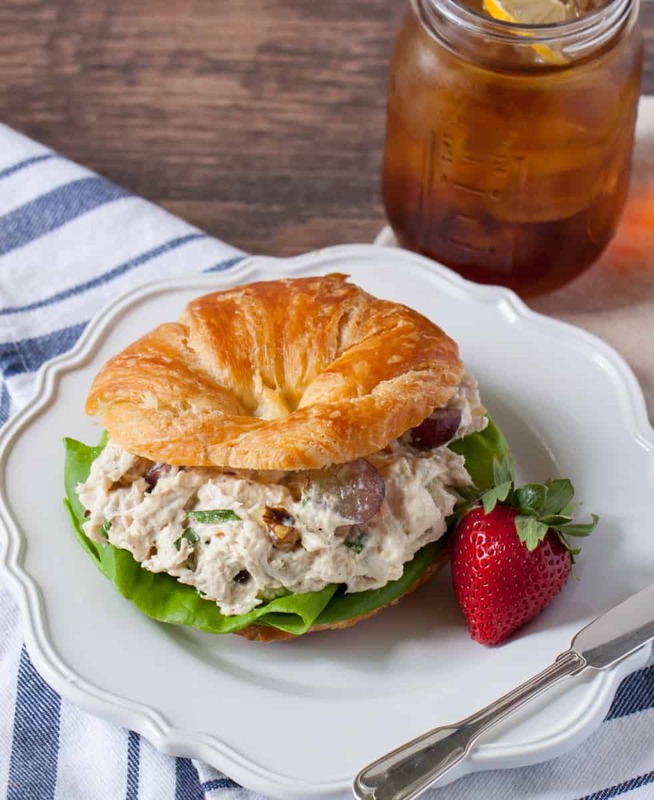 Sometimes I’ll head to Chicken Salad Chick for a little fix, but if I’m feeling ambitious, and I have leftover cooked chicken already on hand, I’ll make my own homestyle chicken salad from scratch. 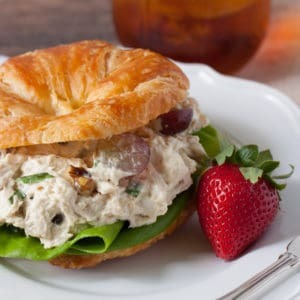 In fact, chicken salad with walnuts and grapes is one of my favorite leftover rotisserie chicken recipes! You know – for all those little bits of chicken you didn’t eat but still are hanging around on the bones. Oh and you might notice – this is a chicken salad recipe with No Celery! Because I don’t like raw celery. SO THERE. 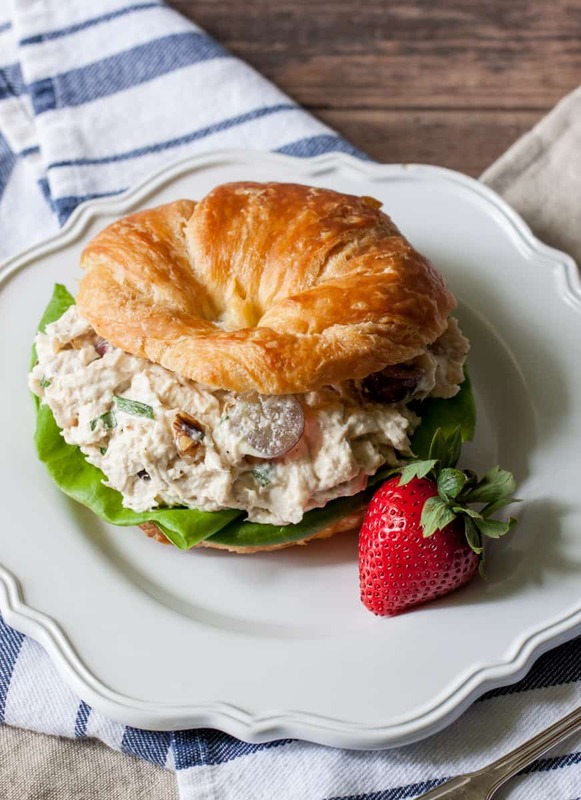 If you want to add celery, that’s your business, but I find this chicken salad recipe gets the perfect amount of crunch from the walnuts and grapes without needing the brash stick-like texture of celery in it. Combine all ingredients in a bowl and mix vigorously until combined. Half of the mayonnaise may be substituted for greek yogurt if you aren’t opposed to a little more tang and fewer calories in your dish. 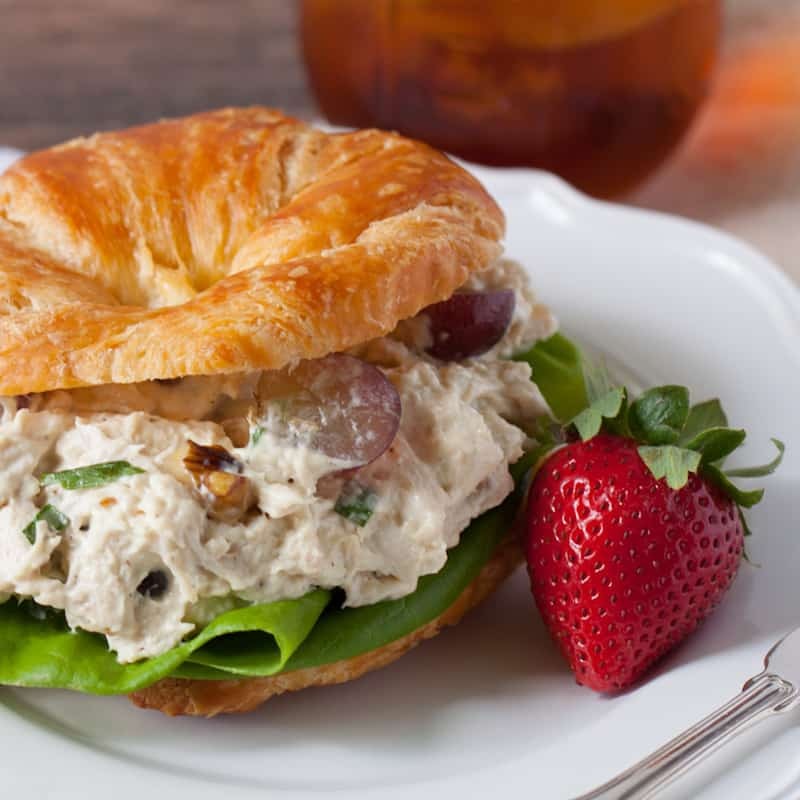 Since I like this chicken salad with grapes and walnuts on a croissant, I figure the extra mayonnaise isn’t going to make or break the calorie bank at that point, so I go all in.